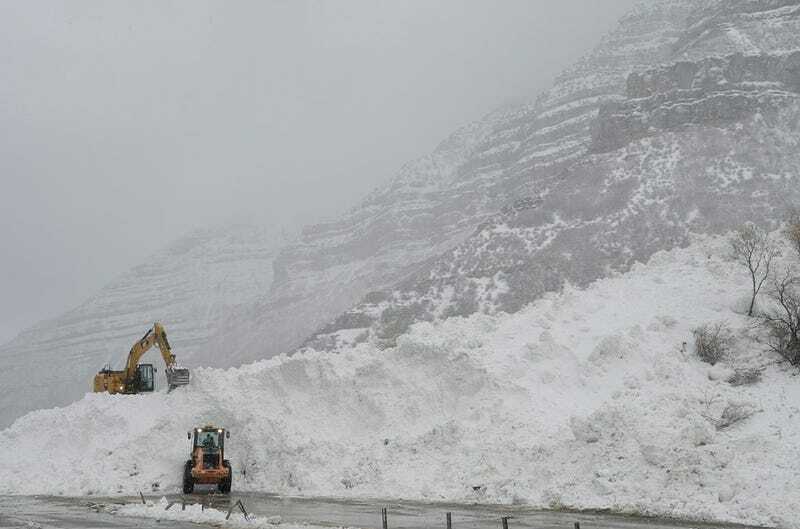 Huuuge intentionally triggered avalanche in Provo canyon a few days ago. 30 FEET of snow crossing a 4 lane divided highway. I’d seen the pics on the news but driving past the cut out remains today (that just opened up last night, after happening thursday) was eye opening how big it really was. This would have a devistating natural avalanche. Man alive. 12 reported avalanches in the last 24 hours. One missing skiier still. Avalanches are scary.